Soda PDF Anywhere from LULU Software is a comprehensive PDF software available for PC and web browser. 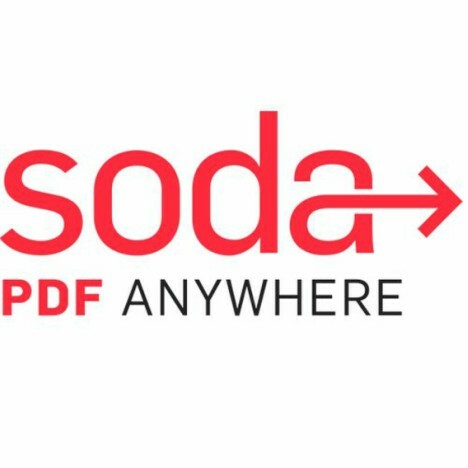 Soda PDF Anywhere is a streamlined system that enable to create PDFs from any popular file format, read, edit, annotate, and convert PDF to Word, Excel, PPT, image, HTML, and more. Soda PDF Anywhere can allow users merge multiple PDFs into a single, manageable document, or to split a document into several, smaller-sized files. In addition, the software also features Bates numbering, batch conversion, Soda e-signature and OCR (Optical Character Recognition), and more. With Soda PDF Anywhere, users can work and access files from anywhere through device with web browser, including computers, smartphones, tablets, Dropbox, OneDrive, Google Drive, and Box account. 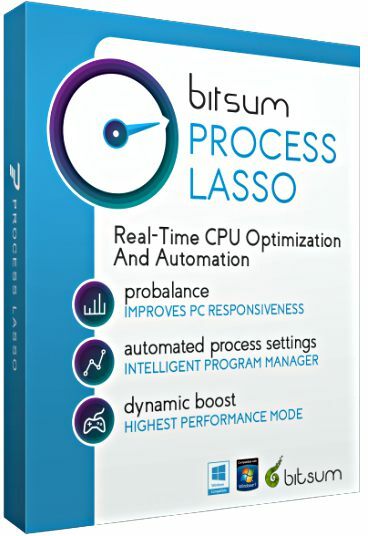 Process Lasso Pro, from Bitsum Technologies is a unique and comprehensive Windows process priority optimizing and automating software that designed to improve PC’s responsiveness and stability. Process Lasso comes with technology ProBalance which allows users adjust the priority of background processes in order to prevent system stalls or micro-lags. Besides that, the software also features Bitsum Highest Performance power plan to provide maximum performance when user need it, and IdleSaver to offer more conservative power plan when user walk away. Further, the software – Process Lasso Pro brings tons of advanced features. Here the list of features. 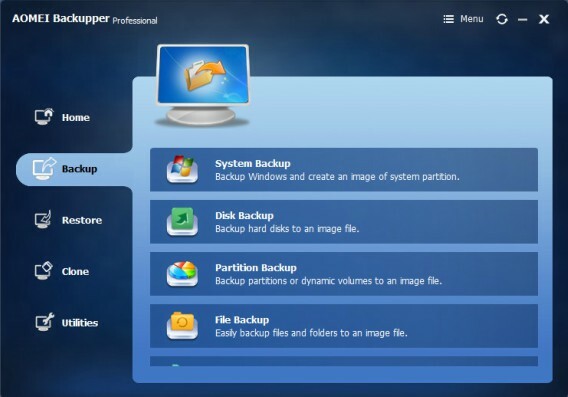 AOMEI Backupper Professional is an advanced Windows backup and recovery software that features backup, sync, clone, and restore data. AOMEI Backupper Professional allows users backup important data, files, folders, partitions, hard disk drives, applications, or operating system. The program also includes disk imaging and cloning tool which can be used to create an image file of hard drive. In addition, the most attractive of this program is universal restore feature that enables user recover or migrate operating system to physical or virtual machines with dissimilar/different hardware. The software also support multi-language such as English, Français, Deutsch, 日本語, Simplified Chinese and Traditional Chinese. The popular disc burning software application – Ashampoo Burning Studio, is designed for Windows operating system that provide features for burn, rip audio CDs, copy discs, create high-quality DVD slide shows, backup data, and erase rewriteable discs. In addition, the software Expert Functions feature also allow users create, modified copy of an existing CD/DVD/Blu-ray disc and rewrite the data disc by using advanced settings. Ashampoo Burning Studio also ideal for storing media files in a place other than PC hard drive, in order to free up space and to create copies. 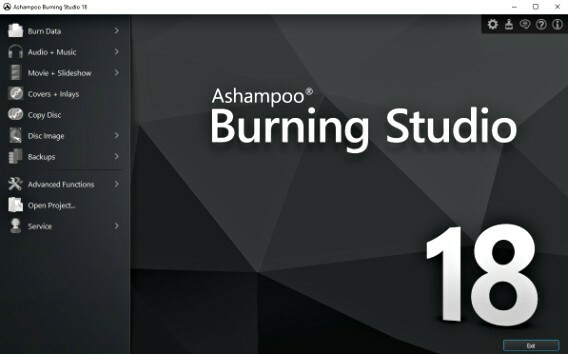 Overall, Ashampoo Burning Studio brings useful features and functionality. However, the software also comes with a couple of minor issues, which is the limited compatibility with virtual disc images, and users easily accidentally format discs. 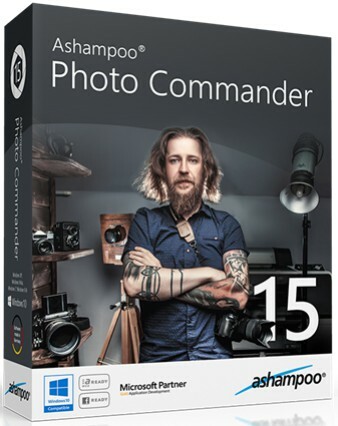 Ashampoo Photo Commander 15 is an awesome program that created and designed for gather, organize, manage, edit and optimize, and view photos content. With edit and view photos, user can completely maintain their photos, videos, and other content in particular folders and sorted by categories. In addition, the program also offers a wide range of tools and settings to enhance entertainment experience. The program able to write an image explanation, save photos as PDF documents, create slideshows, change JPG comments, change record date ranges, Html code schedule, panorama, photo mix or TIF multi-article, and more. Furthermore, Photo Commander 15 also provides tools for adjust photo contrast, coloration and lamination heat level, resizing, rotating or cropping them, adjust horizontal misalignment and employing various impacts (e.g. sepia, grayscale, hone and blur pencil getting, psychedelic). Accidentally deleted important files and find the way to recover? Now there is a software designed for you to recover accidentally delete sensitive and important file, even the file disappeared from the Windows Recycle Bin. Abelssoft Undeleter is a professional software that can recover deleted, formatted, inaccessible, damaged file from PC hard drive. The software comes with several advanced modes such as DEEP Scan features to scan and recover damaged files even overwritten files, SMART Scan search hard disk to find fragments of files previously marked for deletion. Abelssoft Undeleter comes with user-friendly interface. To begin, just simply select desire drive, and then specify the format that need to recover such as (.JPEG) for images, (.MP3) for music, (.DOC) for documents. Once completed analysis, it will list detail with all the recoverable files. Select the recover file and save folder, and then the recovery process will start. 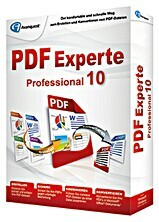 Avanquest Expert PDF Professional is an advanced PDF editing software that features for view, edit, and convert PDF files with technology OCR. It comes with easy to use and efficient interface. Avanquest Expert PDF Professional can convert PDF files into Word documents, convert PDF files to graphics formats, and allows for edit, modify, re-arrange images, share, and much more. 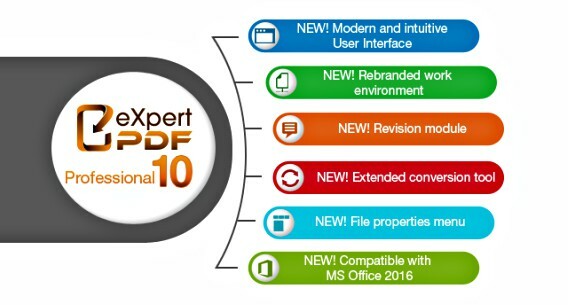 The program even allows for merge several documents from multiple source file formats into a single PDF. In addition, Avanquest Expert PDF Professional also provides security settings such as password, print rights, and encryption. 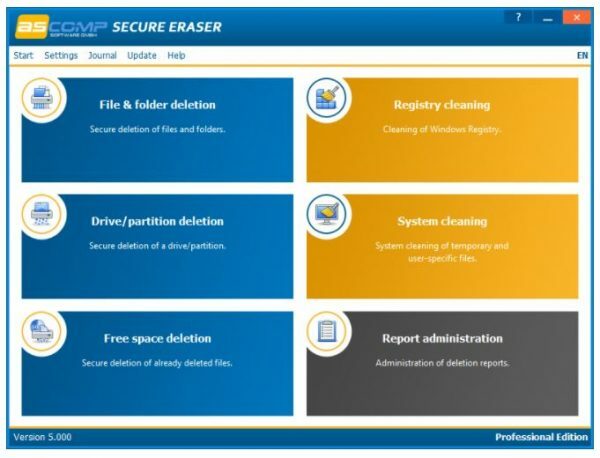 The powerful and advanced all-in-one system cleaner software – Secure Eraser which designed to perform permanently delete files and folders with 3 main mode; secure file deletion, system cleaning, and registry cleaning, as well as clean all evidence of PC and Internet activities. 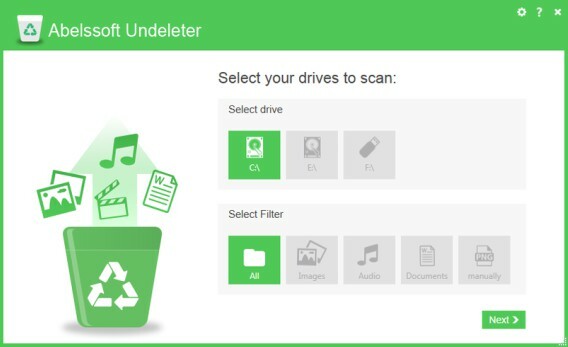 When delete file from PC, it is normally done in partially, so that you lose access to that file, but the file isn’t completely delete from hard drive. With secure file deletion mode, the program can perform completely erased file. While system cleaning is freeing up space on the hard drive with clear up temporary files, Internet Explorer settings, Recycle Bin, and every trace of previously deleted files. For registry cleaning mode, it allows to choose which types of registry entries want to scanned and deletion. Each mode comes with different level of security and different processing time. To change the method used for cleaning a hard drive or partition, just click the small arrow next to the Start deletion button to pick from the drop-down menu.